Most new owners are delighted by puppy antics, but a puppy that eats poop prompts anything but smiles. It could be any animal's feces too. 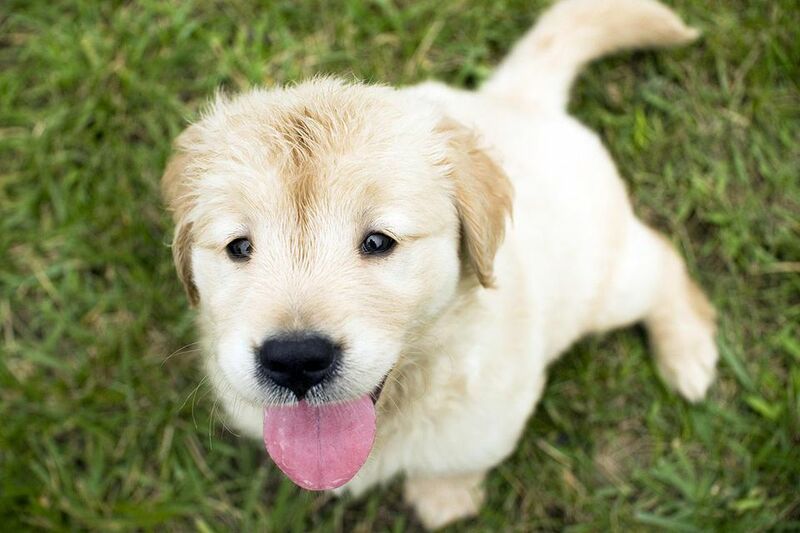 From its own stool to your cat's litter box deposits to a neighboring horse's or cow's manure, some puppies don't discriminate when it comes to poo they're willing to eat. Although many puppies grow out of this phase at least to some extent, there are steps you can take to discourage and even stop the behavior. Watch Now: Why Do Some Puppies Eat Poop? Dogs often eat their own or another animal’s droppings, no matter what species of animal does it. There's even a technical term for it in the animal world: coprophagia. This behavior typically first appears in pups at about 4 to 9 months of age, and the frequency tends to increase after the age of 1. The good news is that most pups outgrow the habit. The bad news is that some dogs hang on to the nasty practice throughout their lives. For example, Shih Tzus are one breed that appears to be more prone to the behavior. This is normal behavior for mom dogs that must clean up after their babies, and some of the pups may end up mimicking this behavior. When you wave your hands, shout with disgust, and chase the puppy all over the yard, that’s great puppy entertainment. Chasing can actually reward the behavior and encourage your puppy to play poopy-keep-away. Digestive problems may lead to puppies snacking on their waste. For instance, if the dog's food is not providing proper nutrients and is not being digested fully, the dog may look to their feces as a supplement because it's nearly the same as when it was eaten. Intestinal parasites may consume vital nutrients from a dog's food while it's in the digestive tract. This too can deprive the dog of getting everything it needs, so it may look for supplementary food. Some health issues may cause digestive problems as well. Diseases in the small intestine or pancreas may cause malabsorption. Also, conditions such as diabetes and thyroid disease often increase a dog's appetite and, if its regular diet isn't filling, it may resort to whatever's available. It's also possible that a dog is simply not eating enough and its daily food needs to be increased. Eating other animals’ waste may have to do with taste. Cow and horse manure may contain undigested grains or other ingredients that are appealing to your pup. The cat’s litter box may as well be a puppy snack bar! Cat food usually contains more protein than dog food, and as a result, feline waste tastes good to dogs. Not only is this unsanitary, but it also puts kitty's tail in a twist to have a dog messing with its personal toilet. A cat that's pestered in its bathroom may look for another place to “go,” such as behind the sofa. Other times, poop eating stems from boredom. If a pup left out in the yard alone has little to occupy its time, it may turn to the one thing that's readily available. Stress can also lead a dog to eat their own feces, especially major stressors like coming to a new home after being adopted. Puppies may eat waste to get your attention, which means that even yelling may reward their behavior. If you catch your pup in the act, don’t make eye contact or speak. Instead, interrupt the act by shaking a can full of pennies or clapping your hands loudly. For bored pups, increase playtime to a minimum of 20 minutes or try aerobic exercise twice a day. If you leave your puppy in the yard while you're away, increase the number of toys available. A treat-spiked toy such as a Kong filled with peanut butter offers a tastier, healthier alternative. 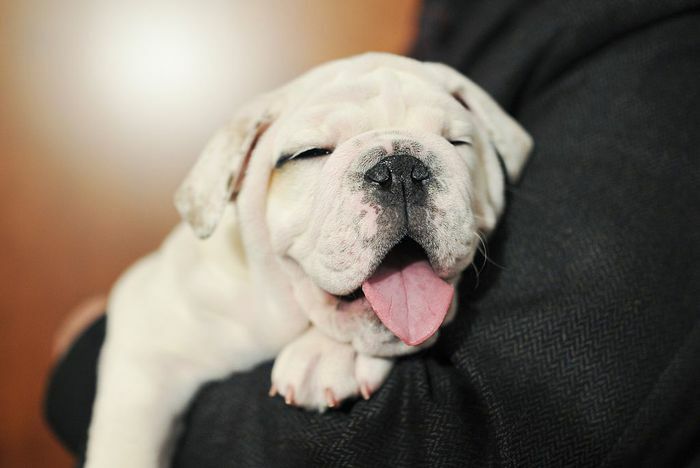 If you believe stress may be playing a role in your dog's habit, try to offer some relief. This will entail addressing the reason for its anxiety and calming products such as Adaptil may help in the interim while you work on correcting that issue. Prevent access by walking your puppy on a leash and leading it away from a pile once the business is done. Offer it rewards for leaving stool alone. Teach the puppy to “come” and sit in front of you after each bowel movement—its own or another dogs’—and offer a fantastic treat while you pick up the waste. Some dogs may eat their own stool when it hasn’t thoroughly “processed.” In these instances, a more digestible food that offers all the nutrients your dog needs may help. Ask your veterinarian for a recommendation. Remember to make a gradual change to the new food as a sudden change could prompt tummy issues. Get your puppy to the vet for regular check-ups and keep an eye out for signs of intestinal parasites. For instance, rice-like segments in stool are a sign of tapeworms and diarrhea can be a signal of whipworm, roundworm, or hookworm infections. Taking stool samples to your vet will help detect a parasite's presence as not all are visible without a microscope or special tests. Check with your vet to see if it's OK to experiment with using a commercial product, such as Dis-Taste Chewables or For-Bid, to make stool less appetizing. There are also products that can be given to cats to reduce the odor of their feces and, therefore, its appeal to dogs. Again, it's best to consult your vet before trying them. Scoop and clean the cat box as often as possible. Leaving droppings for any length of time is asking for trouble. Automatic cat boxes sweep the feces into a bin within 10 minutes of the cat’s deposit. Place the litter box on a table or counter out of doggy reach. If the cat doesn’t object, a covered litter box might deter the dog, while allowing the cat access and privacy. Use a baby gate to keep the dog out of the cat’s domain. Some cats can jump over the standard gates, or you can install it a couple of inches off the floor so your kitty can slink underneath while the jumbo-size pup can’t get through. Finally, when you can’t be around to supervise, muzzle or crate your pup.